When we arrived at CALF at the Lowell Ranch, they were glad to see us. The people were glad to see us as well. Joining STEM School Highlands Ranch middle school and high school students were students from Lone Star School, Arickaree, Colorado Farm Bureau, Shawn Martini, Colorado Farm Bureau’s Vice President of Advocacy, Regional Director Darlene Carpio from Senator Gardner’s office, Bill Vanderpoel from the Douglas County Conservation District, teachers Craig Parker and Simi Basu, and Kim Roth, CALF’s Programs Manager. 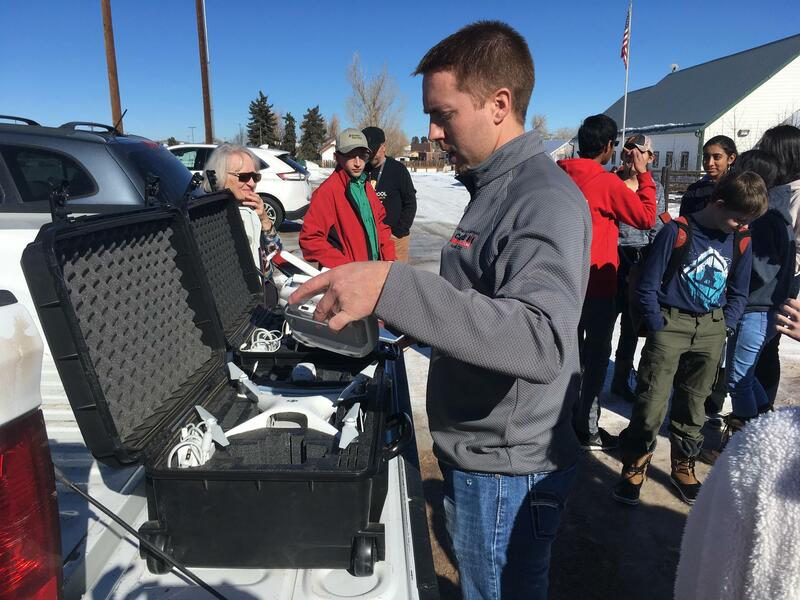 The special guest for the day was Billy Andersen, (Precision Farming Manager) from Central Plains Equipment in Holyoke, CO. Billy not only brought drones for us to fly, more importantly, he was able to show us how technology is being used in agriculture. His knowledge of high-tech agriculture practices helped us understand the importance of technology in the future of feeding our planet and strengthening rural communities. 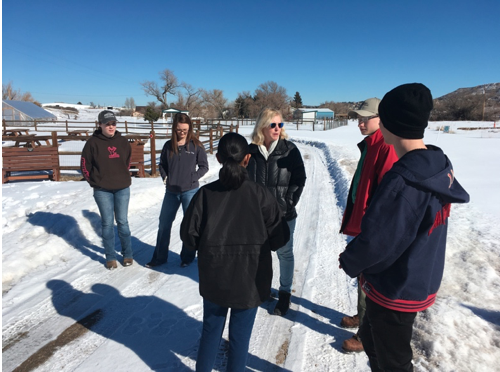 We were especially impressed at how Billy had already mapped the ranch and was ready to provide the same level of precision data for us that he delivers to farmers and ranchers. The drones were used for the first phase of a stream restoration project. 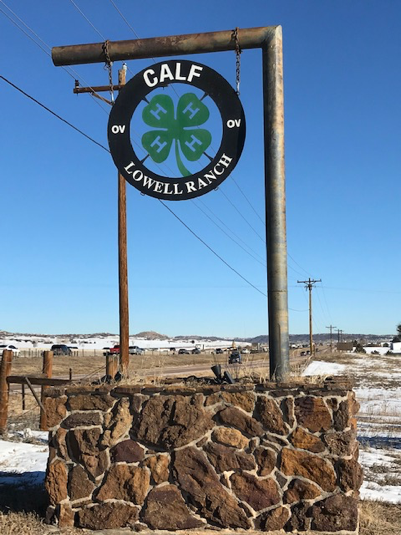 Brooke Fox is the CEO for CALF at the Lowell Ranch -LINK The Douglas County Conservation District has been awarded a habitat improvement grant of $150,000 by GOCO as part of the the $282,000 total funds raised by the partners to fund a stream restoration project. We are grateful to Brooke for bringing us together to take photos, build relationships, and discuss the next steps. 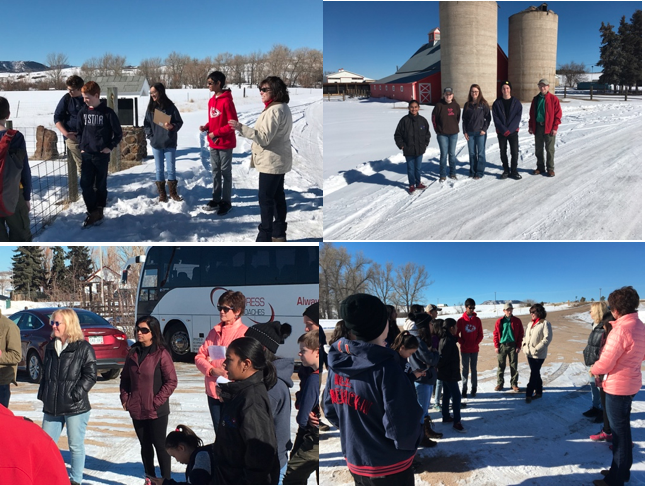 The East Plum Creek Partners are excited to explore a variety of collaborative initiatives enabling the students to help with some of the research and vegetation of native riparian plants along stretches of the creek. 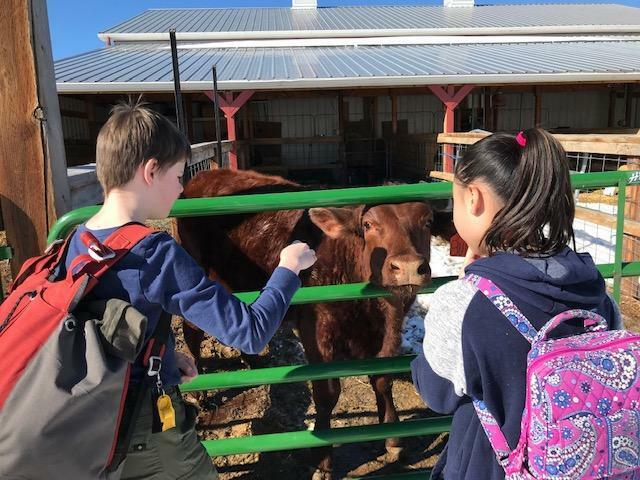 For several STEM students, this was one of their first times to experience a farm. Having the chance to explore nature, animals, plants and agriculture will help us understand how to solve problems leading to the sustainability of our planet and the urgent need to care for the people on it. 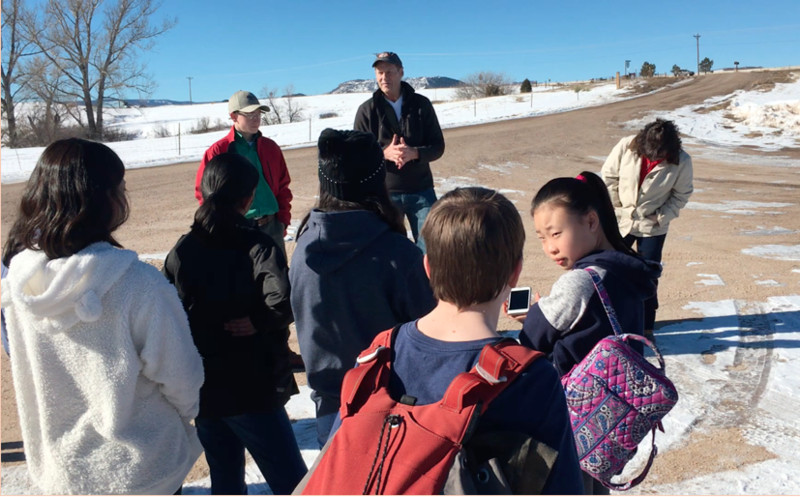 Students discussed several projects beyond the stream restoration. One idea is related to soil sampling and ways to collect relevant data in real time for moisture content and plant health. They hope to partner with industries like niolabs and agriculture researchers from Colorado State University. These students will be important to finding solutions. This collaboration is bringing students, industry and volunteers together for real-world environmental and experiential learning. The potential to build friendships that lead to solving world problems has begun. Thank you to everyone who sees how necessary it is to empower students; building partnerships that help the world. "Meeting and working alongside all the other students made me learn a lot more things. Learning more about the rural environment and the factors that impact it really opened my eyes to another world." "Collaborating with other students was such an enlightening experience for me. I learned so much about them and how our surroundings were very different. There is a countless number of concepts that they can teach us, and I can't wait to spend more time with them." This field was so much fun and was an amazing opportunity to learn the way of agriculture in different communities. Since we are such a technology-oriented school, we don't focus much on the agricultural aspects of things, but people in the agriculture department focus on the STEM aspect of things, and it was amazing to be able to see the different ways they incorporate STEM technologies in their everyday lives. 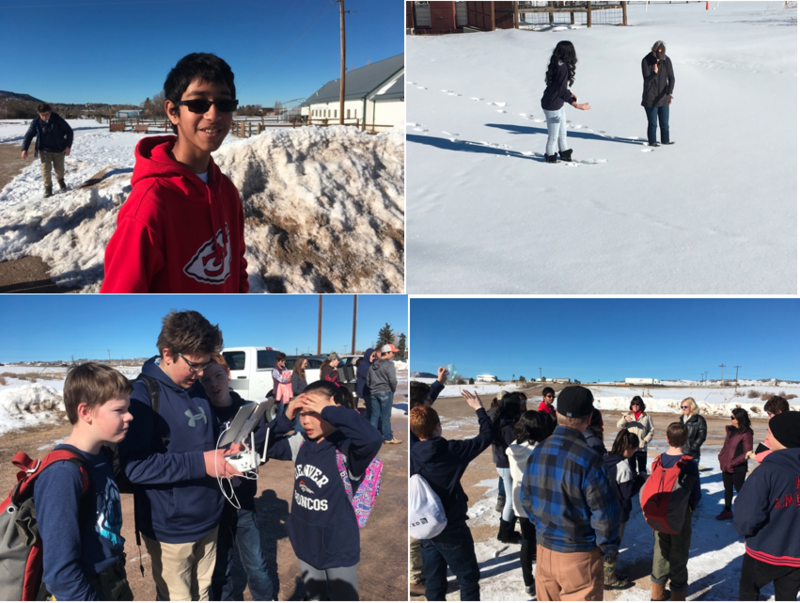 Flying the drones, we were able to see the entire farm and examine different areas of the farm as well. Overall, this was a great opportunity for all of us. "It was really fun seeing how different people live and connecting with their experiences. I enjoyed getting to know their problems and working with everyone to brainstorm solutions."